You can reserve a title by asking in a library, calling 01473 351249, or using our online catalogue. We don’t charge for reservations, unless you’re borrowing from another library service. 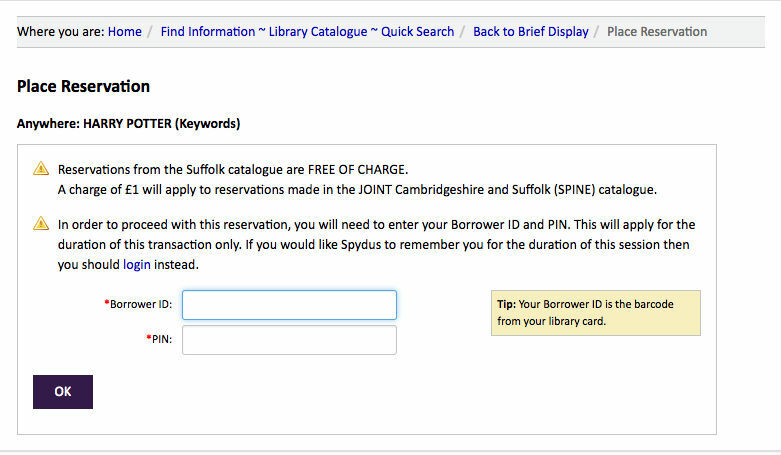 You can use your library card number and the 4 digit pin issued with it to reserve items from our online catalogue. 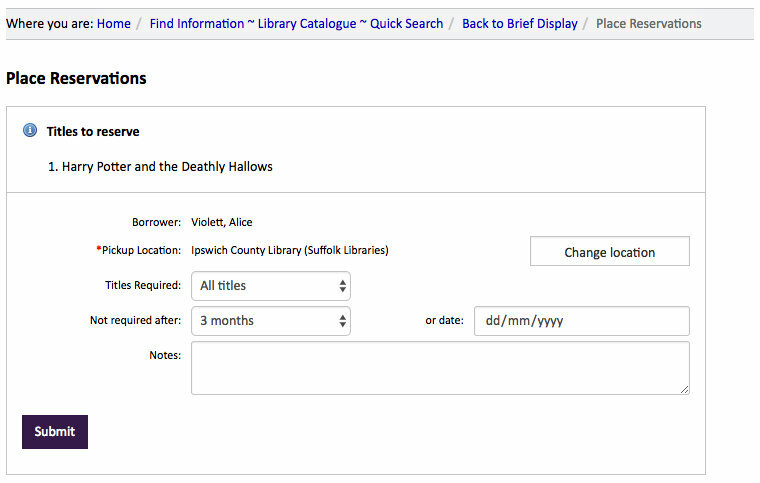 You can also specify which library you want to collect your titles from. Try our fiction, non–fiction, music, children’s books and DVD film lists for ideas. 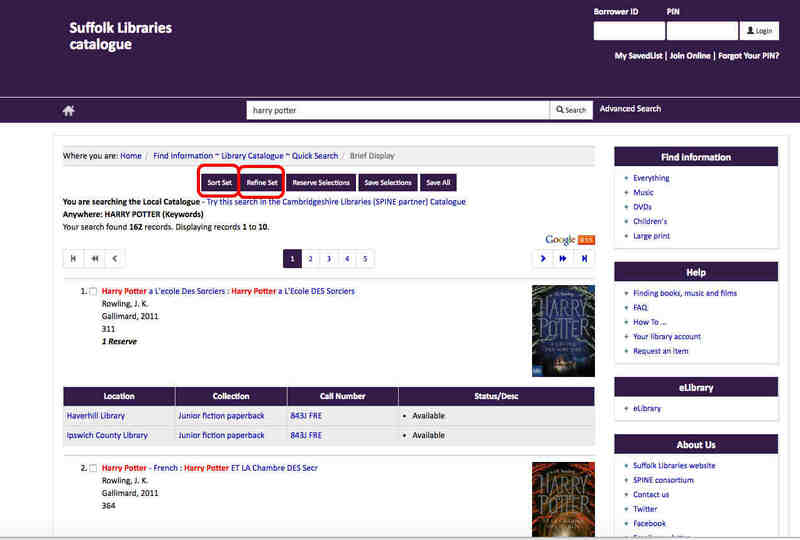 To find a title in our physical catalogue you can either do a quick search or an advanced search. Phrase search: The search engine looks for words in the exact order you type them anywhere in the field you choose to search. 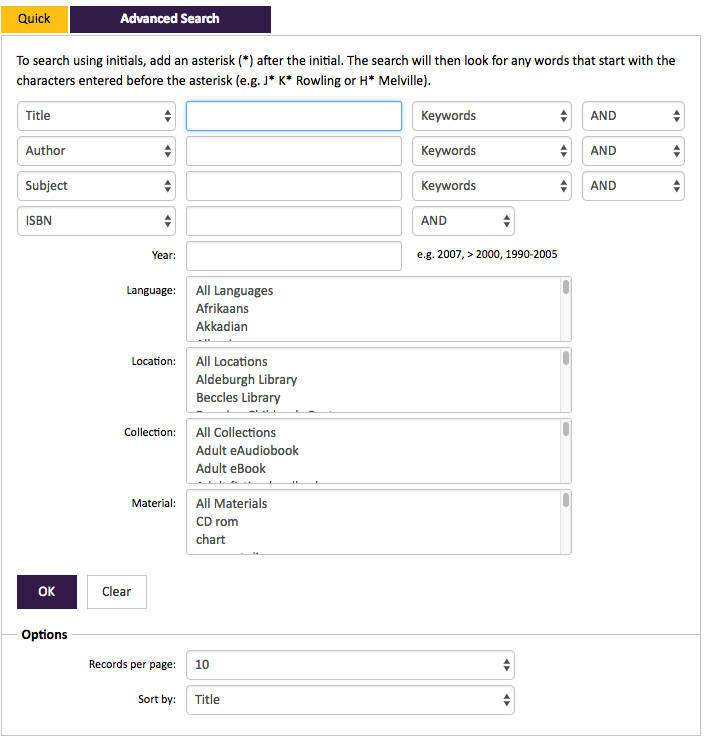 You can also choose the publication year, language, location, collection and type of material you are looking for. You can fill in as many or as few of the boxes as you like. We sort search results alphabetically. You can change this by clicking the Sort Set button. You can narrow your search results by clicking the Refine Set button. This will take you to a new page where you can search for more specific results within your first search. 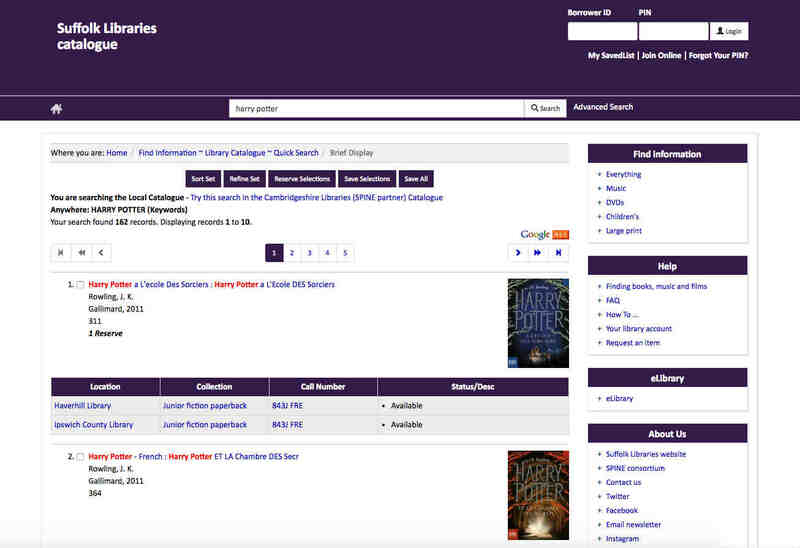 Once you’ve found the title(s) you want to reserve, simply click the box by the title(s) and press the purple Reserve Selections button above the list of results. If you haven’t already logged in, you’ll be asked to enter your library card number and your 4 digit PIN. Once you’ve filled in the form, click the Submit button. To see a summary of your reservations, click ‘My Account’ in the top right-hand corner and select ‘Reservations available for pickup’ or ‘Reservations not yet available’ in the pane in the middle of the page. Once your reservation is ready we’ll email or text you, depending on whether you provided us with your email address or mobile number when you created your library account. If we don’t have your email address or mobile number you’ll have to visit your nearest library, email or call us to check if it’s arrived. Confirm your PIN number and click ‘Update’. a title you have is overdue. Reservations take about a week to arrive if there is nobody else already waiting to borrow the book, but we can’t guarantee this. If your reservation seems to be taking a long time to arrive, contact us and we’ll look into it. Please note we provide reminders as an advisory service. It is your responsibility to ensure titles are returned on time regardless of whether you receive notifications or not.